For the first time in 71 years, three proud and powerful Sydney clubs face the ignominy of starting this season as favourites for the dreaded wooden spoon. The TAB has controversially installed Canterbury as $3.50 favourites for most losses this season ahead of Parramatta ($4.50) and Manly ($7). It is extraordinary to think such successful and triumphant Sydney clubs could be the three favourites to run dead last. 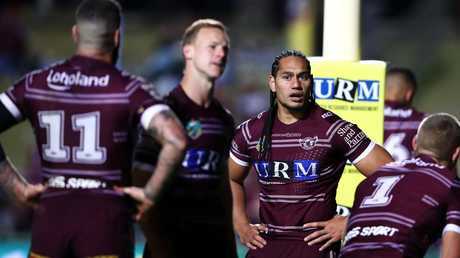 Canterbury was accused of "lacking go-forward, class and depth", Parramatta was told "they don't have the roster" while Manly "lack the quality to be a threat," according to the TAB. 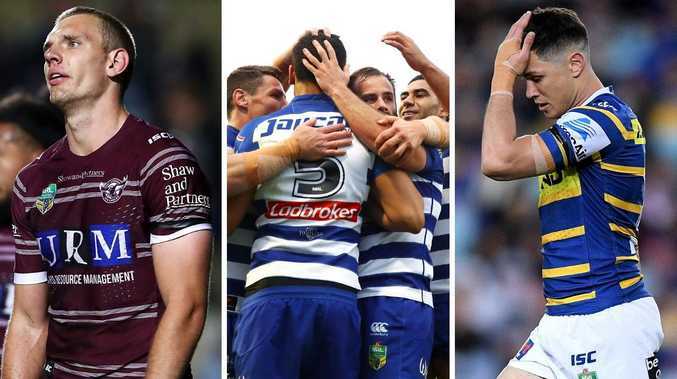 The Daily Telegraph understands Manly, Canterbury and Parramatta have never before started a season as wooden spoons favourites, the three clubs having played top-flight football together since 1947. The Eels, Bulldogs and Sea Eagles have incredibly won 18 premierships over the past 46 years, a success rate of nearly 40 per cent. The three clubs together won nine successive titles during the 1980s. Yet punters have ruthlessly cast them adrift this season. In fact, it is understood just $1500 has been laid on Canterbury to win the title this season. The Bulldogs are also the biggest outsiders in premiership betting at $51. "TAB punters agree that the Bulldogs are the least popular team to win the competition. In fact, just over 50 bets have been placed on the Dogs to win the title," said TAB senior manager, digital content, Matt Jenkins. "Canterbury will fight hard but just lack the go forward and quality. "The Bulldogs are at $51 to win the NRL premiership - that is the first time they've been rank outsiders to lift the trophy since the TAB started betting on rugby league in 1998. "Under Dean Pay, Canterbury might win a few battles in 2019 but they lack the class and depth to be a real force. "Other traditional Sydney clubs Parramatta and Manly are long in the market and have no support from punters. 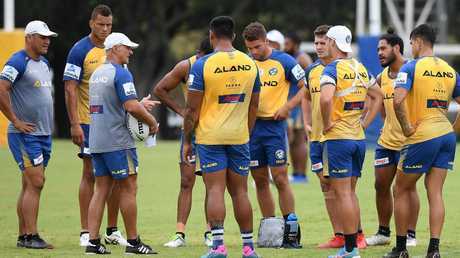 "Punters don't feel Parramatta have the roster to improve on last year when they did run last. While Des Hasler's return does give Manly fans some confidence, punters feel they lack the quality to be a threat. "Week to week we expect punters will get behind these proud clubs but it is hard to see them having the consistency to be any threat in September." The Daily Telegraph contacted each club but each refused to debate where their club would finish this season. There was certainly a "write us off at your peril" mentality at Belmore, Parramatta and Brookvale. Premierships for these three clubs came in 1972, 1973, 1976, 1978, 1980, 1981, 1982, 1983, 1984, 1985, 1986, 1987, 1988, 1995 1996, 2004, 2008 and 2011. 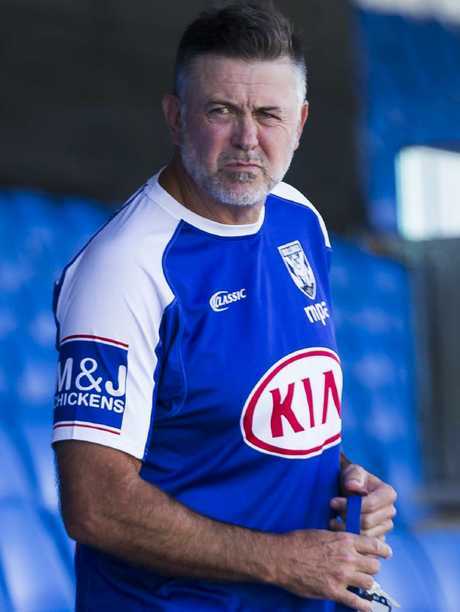 "I played for two of these three clubs and it's difficult to digest," said former hard man David 'Cement' Gillespie, who played at Manly and Canterbury. "Parramatta, Canterbury and Manly are three of the proudest clubs in rugby league. It is amazing to think they are wooden spoon favourites. But I don't think any of them will run last, even though Parramatta finished 16th last season. "There is too much pride at stake, they will come good. I'm not saying they will win the comp and even the make the finals, but I can't see any of them finishing with the spoon." Bulldogs coach Dean Pay will employ a more spontaneous and open style this season which he claims suits his halves Kieran Foran, Lachlan Lewis and Jack Cogger. "We want to build on our own style of football this year. That's what we have been working on through the pre-season. 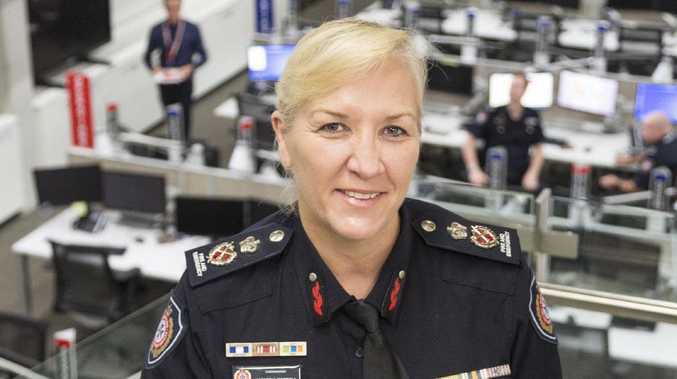 It will be a little bit different to last year," Pay said. "Towards the back-end of last year, I thought we started to play a little bit better. We found our groove and what works best for us. We are trying to build on that and get better at it - a little bit more of playing what is in front of you. "That's the style that suits Kieran while Lachlan is that type of player too. He wants the ball in hands and to take the line on. We have a couple of halves that like to play that way so that's what we're building our style around. Jack Cogger is the same."